After the devastation of last week’s Agents of S.H.I.E.L.D., Coulson (Clark Gregg) opens “Option Two” with a new plan to save the world from Gravitonium. “Throw it into the sun” seems like an excellent course of action, but unfortunately it’s never employed. Instead the episode revolves around how the road to Hell is paved with good intentions, as the entire group breaks out into a heated argument over Yo-Yo’s (Natalia Cordova-Buckley) decision to kill Ruby. 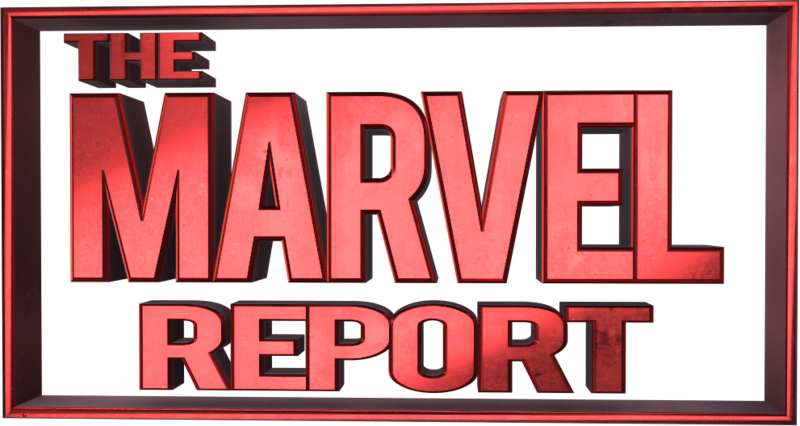 Daisy (Chloe Bennet) feels betrayed because her orders as the leader were disobeyed, while Mack (Henry Simmons) is still smarting from being tricked into a cell. Jemma (Elizabeth Henstridge) and Fitz (Iain De Caestecker) understand her morally questionable choices as much as they understand their own, and May (Ming-Na Wen) wisely withholds her thoughts until private conversations can be had. Nevertheless, the end result is that Coulson takes back command of his team and assigns everyone roles to complete their next mission. Spoiler alert: they don’t. Coulson visits a loopy Talbot, who is trying to figure out what he was up to while brainwashed. He quickly realizes he was sending out S.H.I.E.L.D.’s location to the Confederacy, and soon enough there is an alien ship overhead ready to attack. From this point on, “Option Two” consistently builds suspense and anxiety over not only the characters’ survival, but also the Earth’s. Which moves will bring about the end, and what if any will prevent it? Phil himself tries to use the Lighthouse’s protective measures, and winds up locking them inside the bunker for fifteen years because he didn’t wait for an Option Three. We could all learn a lesson from May here: always listen to the home menu, just in case there’s directives for an alien attack. Things are almost as tense between Yo-Yo and Mack, who are on polar opposite sides after her recent behavior. She insists she was only trying to save him, but he doesn’t want to know what comes next and clings to their promise not to lose themselves or each other. It’s painful when Yo-Yo turns it around on him, suggesting he’s pulling away because of her arms – but not as painful as the implication that they may not be able to survive these latest blows as a couple even if they survive as individuals. Yo-Yo feels this acutely, and one of the best moments of the night is when May helps her make peace with her actions. After all, she went through something similar in Bahrain, and no one can understand that mix of guilt and righteousness more than her. Fitzsimmons have a back and forth with Deke (Jeff Ward) throughout “Option Two” about the likelihood of the Multiverse Theory versus being stuck in time loop, but the debate becomes all too real once the Marauders break into the Lighthouse regardless of its defenses and everyone’s lives are immediately threatened. It’s interesting how much more attached Jemma is to Deke than Fitz, but perhaps the latter are too alike to get along. Deke’s commitment to his continued existence does save Fitz’s life at least once, though, and by the end of the episode they’ve at least learned to understand each other. The Agents of S.H.I.E.L.D. attempt evacuation, but the Marauders destroy the Override and back our heroes up against the metaphorical wall. Coulson finally gets to say, “Let’s light ’em up” and I pray it leads to actual light because some of the scenes are far too dark to follow appropriately. The extended entrapment and subsequent battle is a little convoluted, but eventually it becomes part of the story itself. The feeling of helplessness and confusion heightens the inevitability of each character’s actions. For example, Talbot is now desperate to prove his loyalty for a different reason than Yo-Yo is, but it winds up leading down the very path she just tried to avoid. 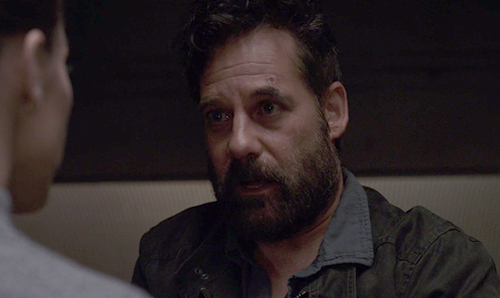 Strangely enough, his scenes are some of the most touching this episode just because of how well Adrian Pasdar plays that feeling of fighting for a scrap of agency. When Talbot shoots Jemma and enters the Gravitonium chamber on his own, it’s both shocking and expected. Speaking of inevitability: Daisy could easily have Quaked the Marauders out of the Lighthouse long before Talbot stepped into that chamber, but she was out on a secret mission to save Coulson. May sent her to learn more about the Deathlok program, even though that’s just what Yo-Yo was warned about before. Which just goes to show that you should either inform everyone about the future you’re trying to stop or else just don’t bother trying. Once May informs everyone that Daisy’s gone dark, the in-fighting starts up again. Yo-Yo realizes that she killed Ruby for nothing and finally reveals what her future self said. As frustrating as it is to see the characters travel the very paths they need to avoid, it’s also perfectly understandable given their personalities. Yo-Yo owes Coulson a lot and loves him as much as anyone else does, so how could she commit to a course of action that kills him even if that’s what he wants? But there are more shockers in “Option Two,” and one of the biggest one’s is the outcome of Daisy’s mission. The so-called Candy Man provides the last Deathlok prototype, but he doesn’t have the healing component and doesn’t know where to get it. Once he shows Daisy the name, though, she seems to know exactly where she needs to go. 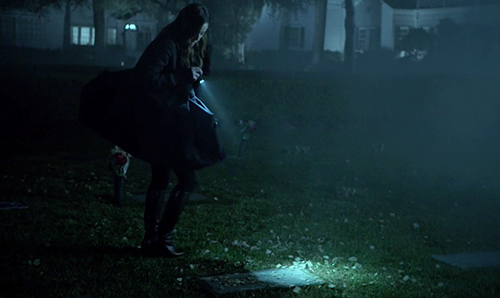 That’s how Daisy ends up at her mother Jiaying’s grave in yet another important callback that Agents of S.H.I.E.L.D. threw in this season. The show is really coming full circle, and there’s no doubt that no matter how bleak it gets, the story is committed to its characters.